We're pulling out ALL the stops with these stainless steel custom logo wine glasses or tumblers. 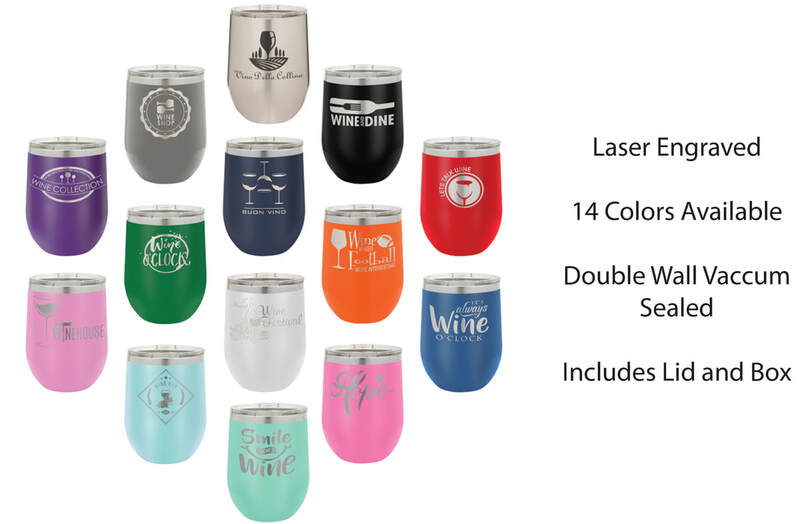 NOT only do you get your choice of 14 available colors, but these stainless steel wine glasses are double wall vacuum insulated just like your favorite tumbler, and they include a lid and a box. These are probably the nicest corporate gift item of the past 10 years, so place your order now to insure that we have stock in your favorite color.